Just a quick note and a few updates. Your spring Hot Compost newsletter went in the mail on Friday and should be showing up in your mailboxes shortly. It has all sorts of information about the coming year as well as your summer share pickup site and instructions. I’m also emailing a pdf copy to everyone, although it doesn’t contain your pickup site assignment. There were two websites mentioned in the article about increasing healthy food access. Here is the link to Harvest for the Hungry (and I’ve attached some more information about the program to this email). 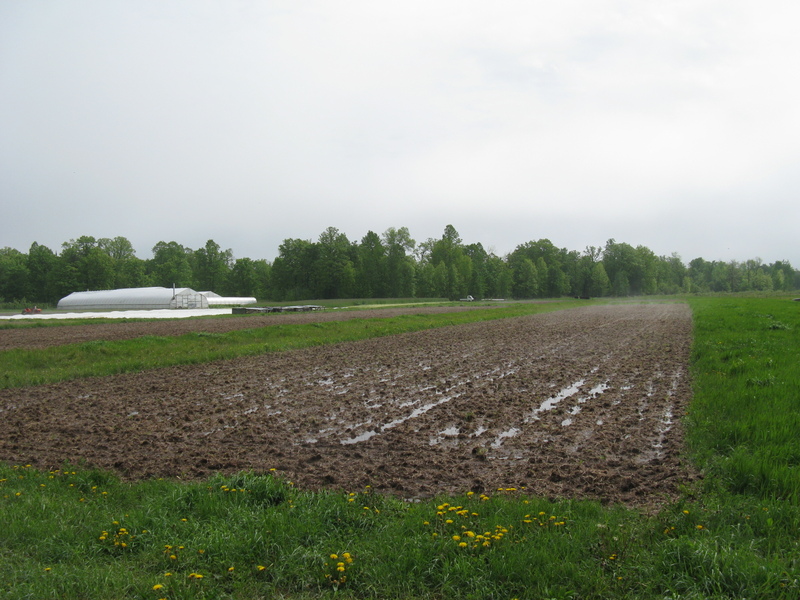 Finally, you may have noticed we’ve had a ton of rain recently and I’m sure you’re wondering how that’s impacting the farm. We’ve received nearly 8 inches of rain in the last 9 days, and because our land is pretty flat there is standing water in many fields. 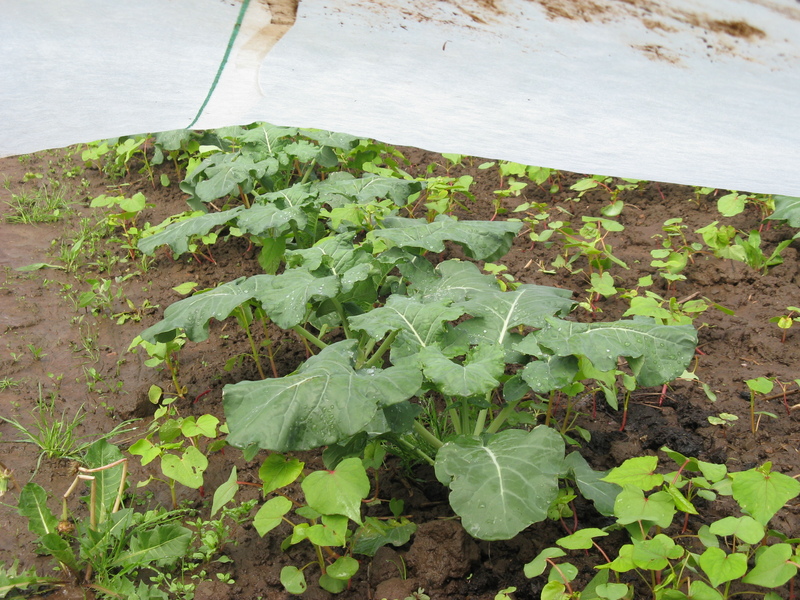 We’re especially concerned with the peas, spinach, and early kale and it looks like those crops may not make it through. The first planting (2 beds) of carrots are probably not worth saving, but amazingly the rest of that field looks OK (8 beds). Even though the seeds were just germinating, it looks like only a small percentage of the seed was washed out and if we have nice weather in the next few weeks they should pull through. 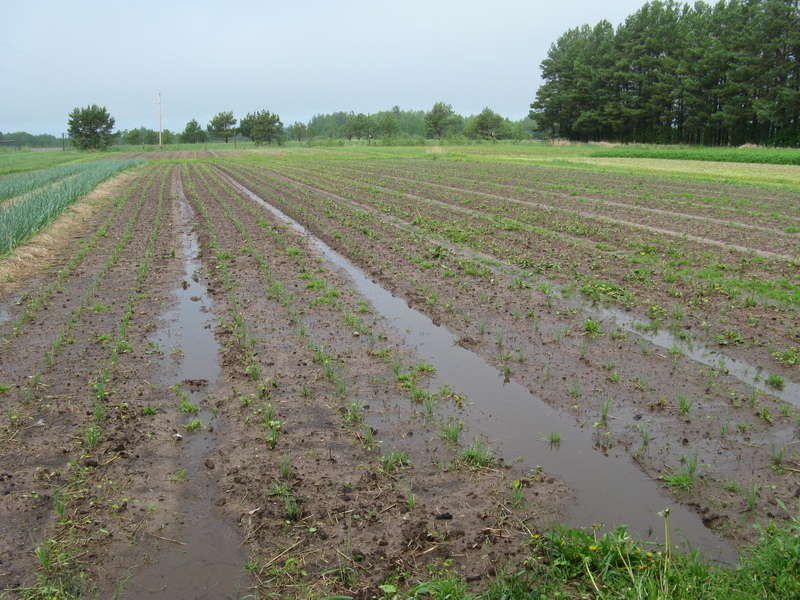 The fields with early potatoes, onions and broccoli are all quite wet but they will probably survive as long as we get some heat and wind to dry things out in the next few days. 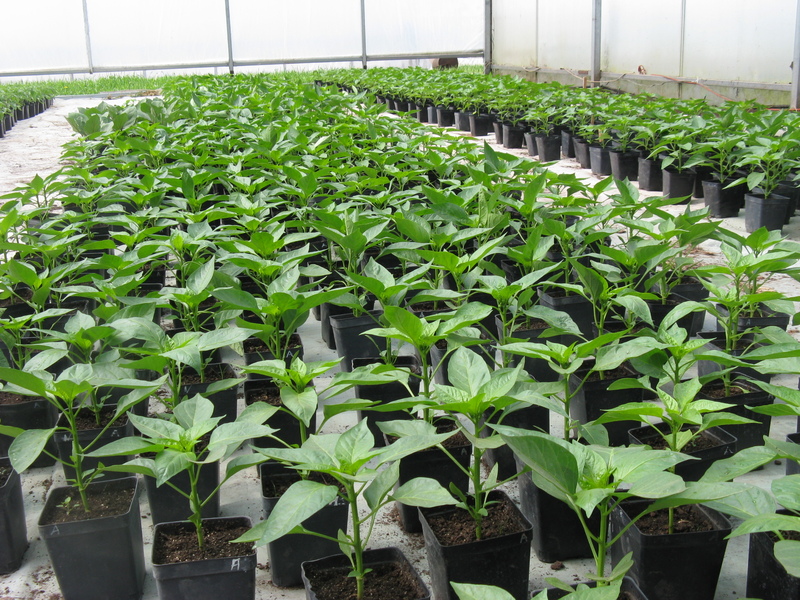 We are fortunate that many of the transplants are still in the greenhouse waiting to go out once the fear of frost is gone, so they are looking very good still. 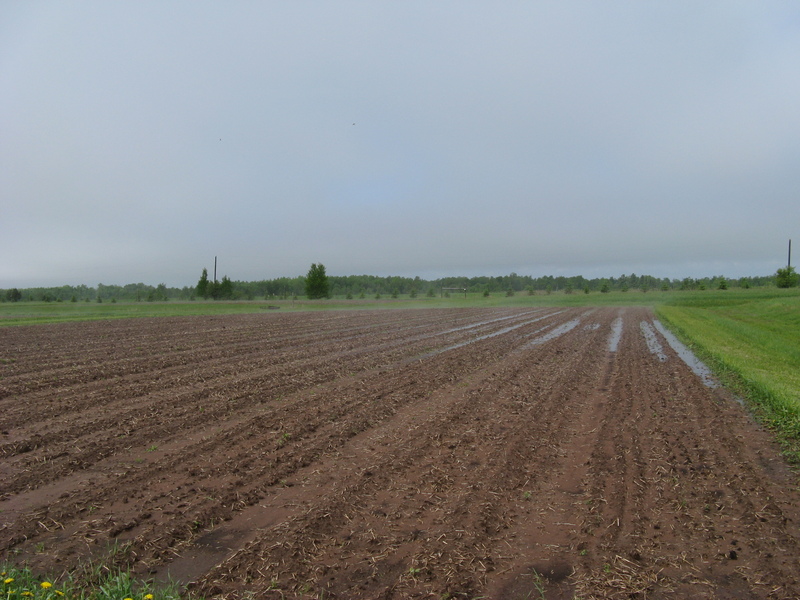 However, the fields that we’re supposed to plant into will take nearly 2 weeks to dry out at this point, so we’re a little concerned the plants will be stressed by the time we can get them into the field. 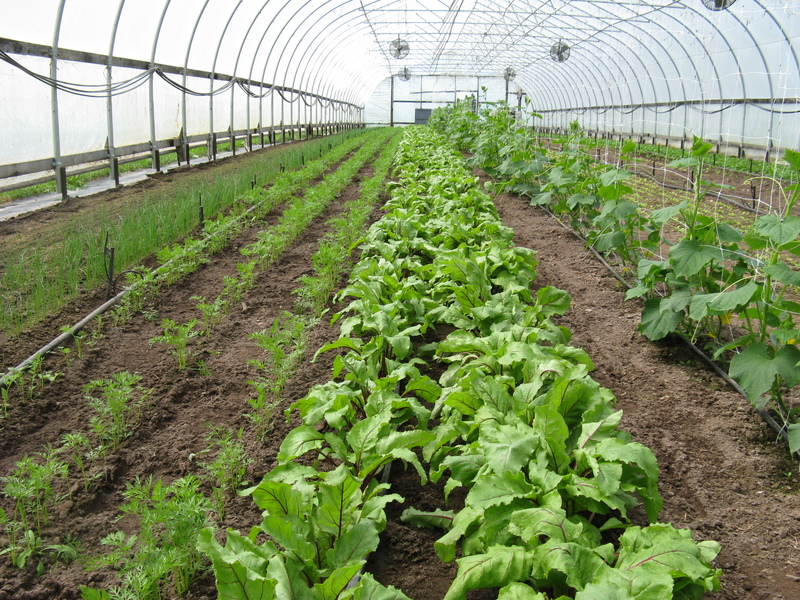 Many of the veggies in our early share boxes are planted in the greenhouse, and most of those things look good, including an early planting of cucumbers that might be ready for the first delivery! We’re excited for a good year of veggies, even though things don’t look very nice right now. 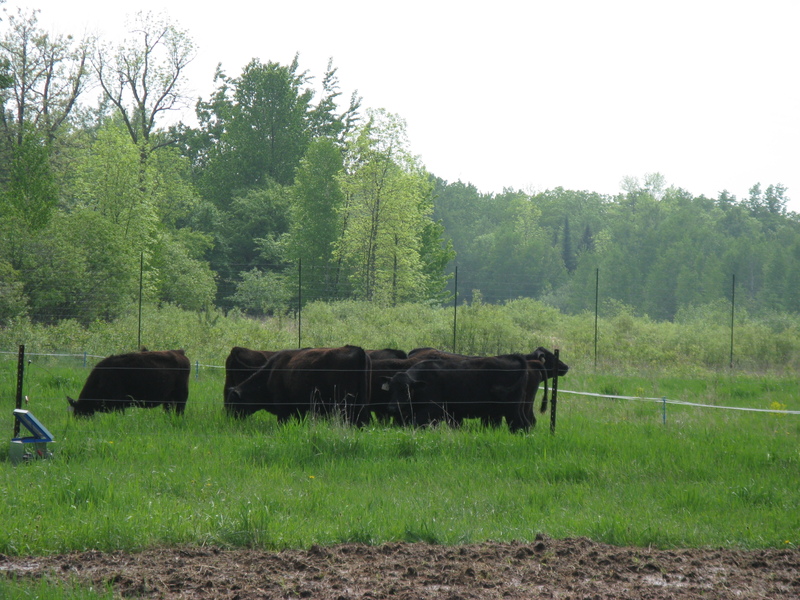 I took the photos this morning before we got another 1/2″ of rain, but after Ben’s cows arrived!